Chrysocolla forms as a decomposition product of copper minerals and frequently is intergrown with other minerals, in this case, with chalcedony. Also referred to as "gem silica," it is one of the rarest and most treasured variety of chalcedony. 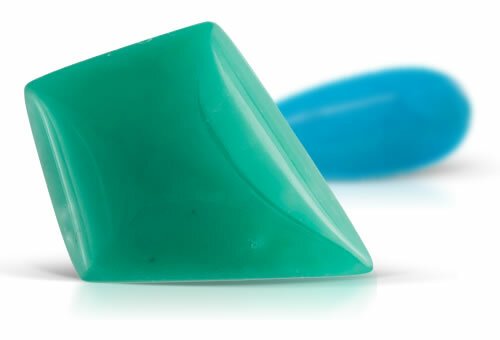 The gem may be seen in blue to blue-green color, and may be opaque to almost transparent. Might be unevenly colored and might be mistaken for turquoise. Colored by copper mineral chrysocolla or copper salts. Chrysocolla-in-chalcedony might be unevenly colored.